I recently teamed up with the lovely people at the Shakespeare Birthplace Trust to illustrate a new product range for the opening of Shakespeare’s New Place, which comprises a beautiful Tudor knot garden, restored for the first time since it was created in 1920. 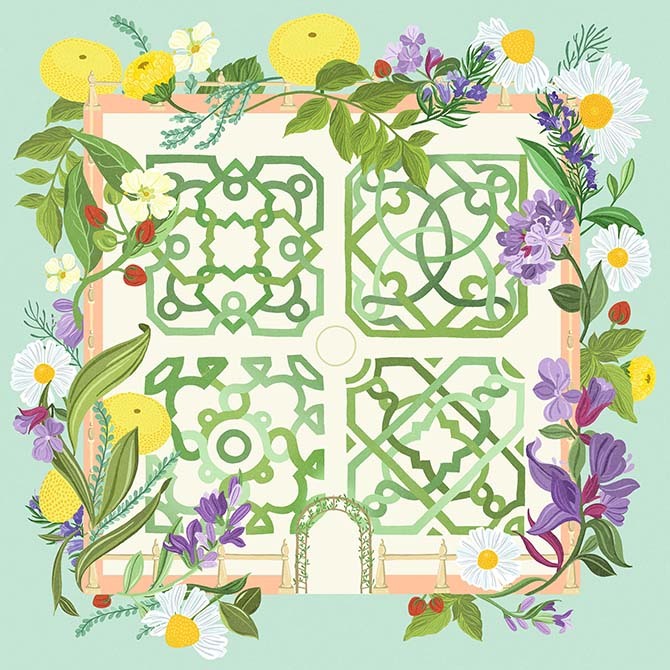 I used the garden plans and flower varieties to create a contemporary illustration of the knot garden, which appears on the Shakespeare’s Garden product range. 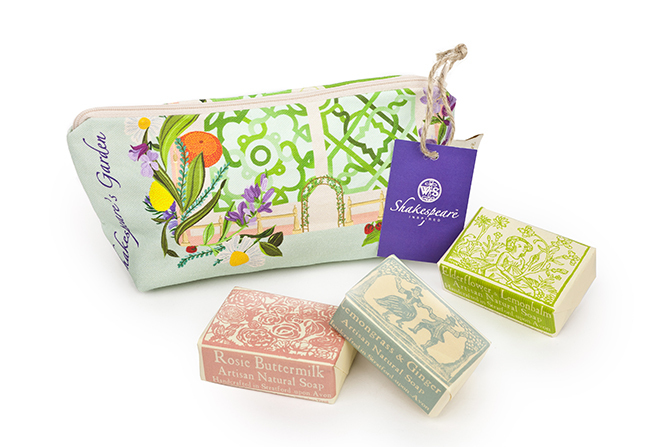 Products in the range include a canvas bag, cosmetic bag and soaps, cushion, notebook, tea towel and more.